Ben Garrison is a libertarian who believes in free speech. He also favors smaller government and adherence to the Constitution. While hate speech is legal in America, copyright infringement and libel are not. Those things are against the law. People have to make a living and when they are impersonated, defamed and libeled, their name and online reputations are sullied, which makes it more difficult for them to find work. Hate speech is not permitted on social media--Facebook in particular. There are stated community standards. It's not a violation of 'free speech' when pages calling for the murder of human beings get removed. Trolls do not own Facebook. Nazis are perfectly free to set up their own hate sites and pay for their own servers. Those who do usually have a hat in hand--begging donors for 'support.' To get support, they need attention. That's why they stir up trouble and attack people for no reason. They are children stamping their feet so folks will notice them. The trolls gain some sort of sick, sadistic satisfaction from doing this, but most likely they simply want more traffic on their boring web sites. They want to profit from their hate. Hate is a commodity to them. They want to harvest the haters. Libertarians are not anarchists, and so it should come as no surprise when a libertarian disagrees with the 'anything-goes-including-vicious-libel' trolls. Libertarians respect property--including intellectual property that is copyrighted. Hate-spewing trolls seem to believe that free speech means they can destroy whomever they wish by posting their 'memes' of libel. They claim a copyright is meaningless. There is no such thing as ownership. They think they are free to edit and deface someone's writing or artwork and then publish it on their site while asking for donations. Their bullying and defamation is used for entertainment and they want to get paid for doing it. It's done with malice. How do I know? I've received hate mail asking me if my business is suffering. They want to ruin my commercial art business. That's malice. Those who say they can do it because I'm a 'public figure' are wrong. I'm hardly a public figure. 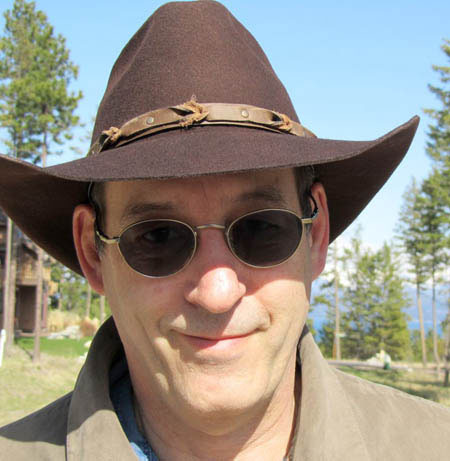 Very few know who Ben Garrison is. Just ask anyone on the street. Nope. I'm not a public figure. Even if I were, it's no excuse to trash my reputation using obvious malice. Those who do want to find out who the artist Ben Garrison is via internet searches are now forced to wade through all sorts of disgusting rubbish posted by the trolls. The haters are so blinded by their own hatred that they're incapable of understanding the difference between libertarianism and anarchism. Their 'philosophy' (if it can be called that) consists of anti-semitism, racial slurs and other ad hominem attacks. It's difficult to tell whether they're really serious about their philosophy of hate or if they're merely spewing nonsense in order to gain attention and money. The 'chuckleheads' also do it for the 'lulz.' (Chuckleheads is a word I came up with to describe them). When someone rightfully tries to remove Nazi troll libel, the chuckleheads get very angry. They are crybabies when it comes to this matter. 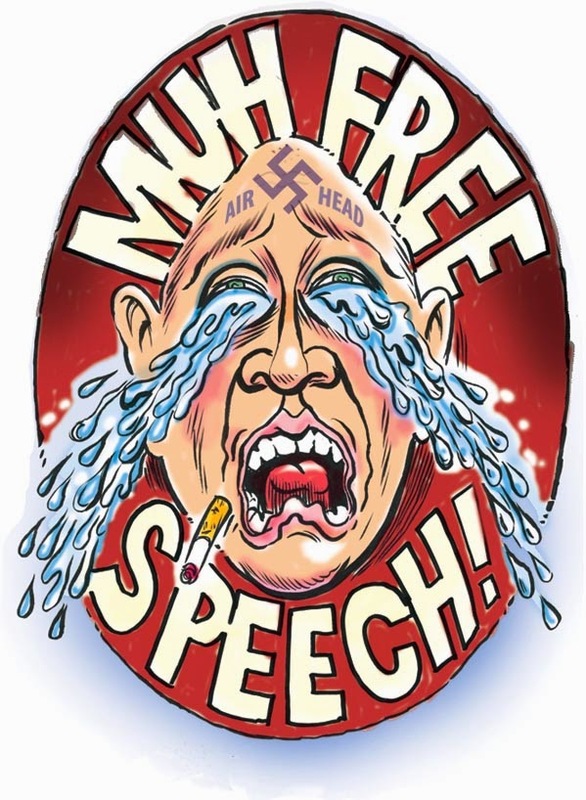 They scream, "Muh free speech!" -- even though they have no problem with trampling on the free speech of others by posting defamation and libel. They do not respect free speech. If given the power, they'd take it away from others just like Hitler did. They're weaklings who have probably been hurt and bullied at some time during their lives. They have discovered that they now have the ability to easily bully others on the internet. They quickly spurt crocodile tears when their libelous hate is threatened. Trolls don't believe in free speech. They overwhelm and shut down reasoned debate and replace it with blind hatred. They believe in hate speech, which is a form of censorship. Far left socialists and far right Nazis and trolls of all persuasions in between are routinely defacing Ben Garrison's cartoons. They add in offensive racist and Jewish caricatures, usually drawn by an anonymous racist artist going under the pen name of 'A. Wyatt Mann.' These libelous trolls also stamp the copyrighted Ben Garrison signature onto racist images that Ben did not draw. They also impersonate Ben by stealing his name and photos and incorporate them into hate 'meme' boxes in order to defame him. They've clearly stated they're out to ruin his reputation and his ability to make a living from commercial art. One of the trolls even stated that he'd like to see Ben get murdered. Ben's family has also been attacked. Ben Garrison is not against Jews, Muslims, African Americans, Hispanics or any other religion or ethnicity. This is a battle of ideas, not skin color, country of origin or religious heritage. Ben Garrison is against racism, bigotry and libel. Ben is against hate speech on social media where community standards are clearly stated. By 'hate speech' I'm referring to those who want to murder people based on their race or religion. Ben is for free speech and those wishing to express their hatred are free to do so on their own sites and using their own names. Ben Garrison is for freedom and the Constitution.